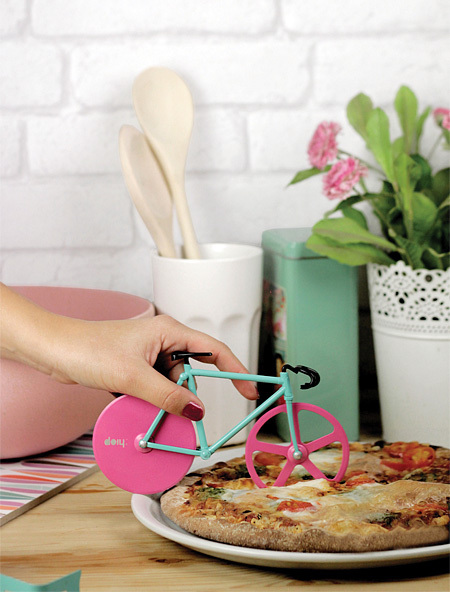 Creative pizza cutter designed to look like a miniature fixed gear bicycle. 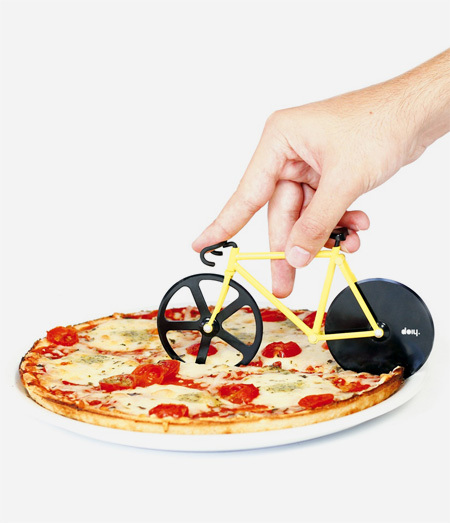 “Fixie Pizza Cutter” uses sharp wheels to cut pizza into delicious slices. I. WANT. THIS. … NOW! I tried. It’s not shipping to the US yet. Yikes! 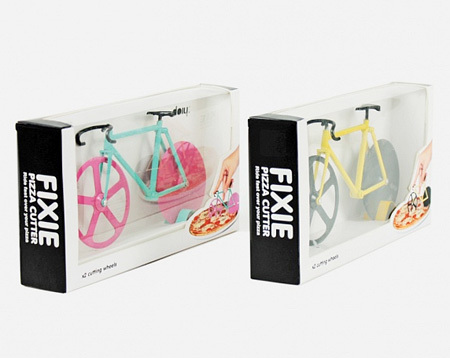 If ever a bicycle NEEDED a set of fenders! Please let me know when this is available! 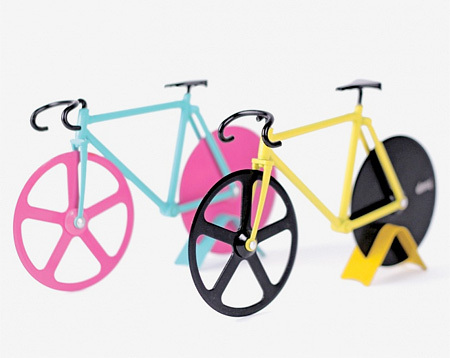 It’s great for a bike enthusiast.